I find your lack of cufflinks disturbing. Wear your Darth Vader cufflinks for all the world to see! Made of sterling silver, they show off your dark side. Show your dark side. 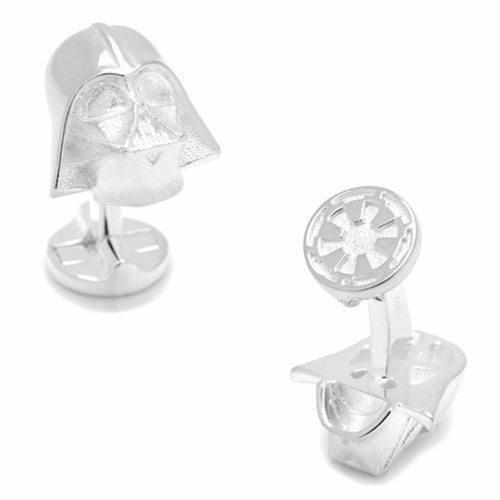 You do not want to get this guy mad at you, so play it safe by wearing these Star Wars Darth Vader 3D Sterling Silver Cufflinks any place the Dark Lord might frequent. Made of sterling silver, they measure approximately 3/4-inch x 3/4-inch.